'Three Sides Live' was filmed in November 1981, on the Abacab tour in North America and was originally released on VHS to coincide with the live album of the same name. It has only ever been released on DVD in the limited edition box set 'The Movie Box 1981-2007'. Originally filmed in 16mm, the footage has now been fully restored and is being reissued as a standalone DVD and Blu-ray for the first time. The show focuses on tracks from the 'Duke' and 'Abacab' albums and the tracks are inter-cut with behind the scenes footage and interviews with the band members. As ever with Genesis, the show is visually stunning and it captures the band in their transition from their progressive days in the seventies, through to the hugely successful pop/rock act they became from the mid-eighties onwards. 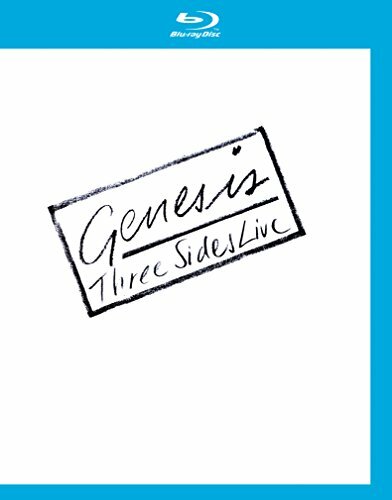 Genesis has always been great live performers and 'Three Sides Live' is a great addition to any fan's collection.